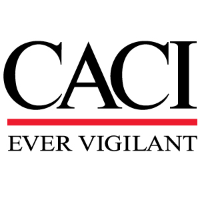 This is a unique opportunity to work in a challenging environment with a small and motivated team focused on delivering value add reporting and analytical capabilities to execute accelerated risk decisions and provide insight into the cyber risk posture of the Enterprise. This position will serve as a developer providing technical solutions to deliver automated assessment capabilities and integration of cyber data into reporting and analysis services. The candidate will work in an agile environment on several tasks simultaneously and be able to quickly understand, evaluate, prioritize and respond to issues with minimal supervision. This position serves on a multi-disciplinary team and will work directly with the Team Lead, project manager and technical team members to develop and maintain custom applications. Demonstrated experience with full-stack development and integration with custom applications based on specialized requirements. Experience with Object Oriented Design Methodology, design, implementation and administration. Demonstrated experience troubleshooting and problem solving both technical and non-technical issues. Demonstrated experience exhibiting written and oral communication skills, ability to convey complex technical/programmatic issues concisely. Demonstrated experience working with vulnerability data and tools for analysis and trending and with advanced data analysis techniques. Familiarity with Data Science programming languages/frameworks such as R, Python, SQL, Hadoop. Demonstrated experience with Splunk, Tableau or similar reporting tools. Familiarity with DevOps best practices and tools such as GitHub and/or another modern source code management tool. Experience developing using the Agile methodology. Typically requires a Bachelor's Degree or equivalent, and 16 to 18 years of related experience.